While visiting family in Summit, New Jersey this weekend, I received an email that was the equivalent of a gut-punch. A friend from high school and college had died in an automobile accident. Now I hadn't seen the man since our circle of friends graduated in 1969, but Facebook has enabled many of us to reconnect and catch up on each others' lives. 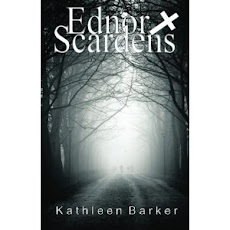 We had messaged back and forth after I published "Ednor Scardens". He had been thinking along the same lines, organizing material for his own book, and we traded ideas over several weeks. 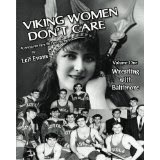 A month ago a copy of his book "Viking Women Don't Care - Vol.1, Wrestling with Baltimore" appeared on my doorstep. Since it was a non-fiction memoir, I enjoyed delving into it, reliving many of my own teen years and the antics I'd shared within our group. He was coming down to Baltimore in early December to do a book-signing. I was readying a list of interview questions to incorporate into an article to promote the event. Now I'm paging through the book again in sadness as I read his handwritten note inside the cover: "To Kath, my favorite critic! Enjoy the memories. Love, Leif." Lawrence Frederic "Larry" "Leif" Evans was a unique guy. Always sports-obsessed, an activist and organizer, he was like a thousand-piece puzzle that someone put in a can, shook, and dumped out. Friendly, crazy, and socially-conscious, he was the one who could put together an event for a good cause and make it so much fun that you wouldn't dream of missing it. He could sell you a bag of dog crap and you'd happily pay for it...and thank him. He organized school dances, Santa Claus Anonymous charity football events, and much, much more. Most of us who called him friend didn't have a clue about his painfully tumultuous childhood. He was one of us, but just crazier. 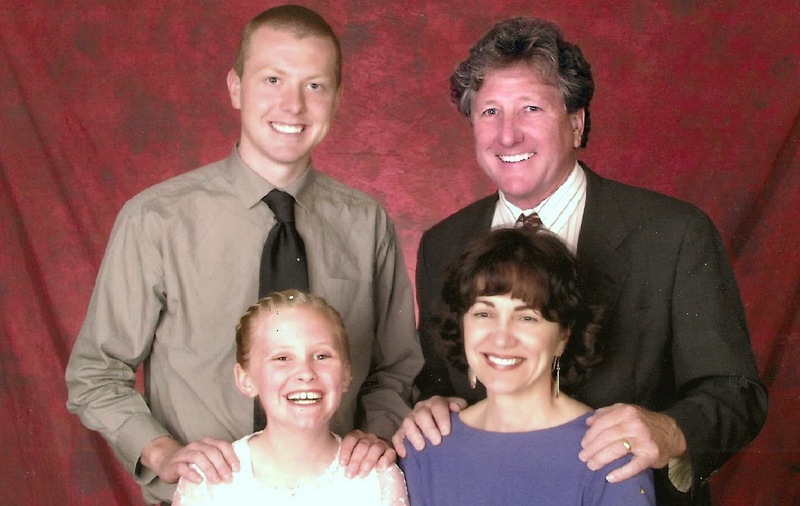 Leif joined the VISTA service corps after graduation and worked with migrant workers in Florida. I would have paid to see that. He labored for several years as a steelworker, and during that time he created a news magazine written by and for the men and women who worked there. Food banks, group home counseling, community newspapers, community-access television, politics...you name it...if it helped someone, Larry was likely involved in it. In 445 B.C. the Greek historian Herodotus wrote, "Whom the gods love dies young." While many would not feel 67 years of age to be especially young, Larry had "promises to keep, and miles to go before I sleep." He wanted more time. So did we. Funeral details: visitation will be 2-4 p.m. and 6-8 p.m. Wednesday, with a 7:30 p.m. memorial service at William Slater II Funeral Service, 1650 Greentree Road, Green Tree (15220). 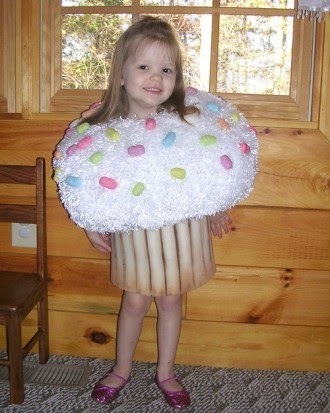 Lately, I've been getting requests from the grandkids for things like costumes, capes and other make-believe apparel. Coincidentally, I attended the Maryland Renaissance Fair and watched ten-year-old Emma drool over the long, hooded velvet capes. They were lovely, and I drew nearer to turn over the price tag only to find they were over $100 each. The older I get, the more easily shocked I am at the price of anything made closer to home than China. Of course, I didn't buy the cape for her, but began thinking it couldn't be that hard to make. 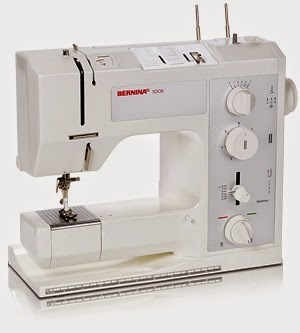 I thought of my long-neglected sewing machine, gathering dust in my closet. I'd paid the then-outrageous sum of $600 for the swiss-made Bernina 801 Sport in 1983. When my husband asked how much it had cost, I lied and told him $150. It doesn't have all the computerized hoopla that today's $1000+ machines have, but it falls solidly in the 'they-don't-make-them-like-that-anymore' category. The last time I sewed, Emma was four. She wanted a gorgeous princess outfit, so I went all-out, spending $50 on the fabric, trim and pattern. It did turn out beautifully, a pink full-skirted satin dream with golden trim, complemented by a matching full-length cape and headdress. She was thrilled, and the outfit still hangs in the closet with a slightly frayed hemline from the steps and sidewalks she traipsed, wanting to show it off as much as to collect Halloween candy. Perhaps I could reclaim my magic-granting status and make the coveted velvet cape, but the last time I did some repairs to torn fabric, my machine was acting quite perverse, threads breaking with abandon until I gave up and shoved it back in its corner. I began to search for a repair shop, finally finding one that would take on my old war horse. Having located a store, I lugged the heavy, swiss-made machine onto the counter. The woman smiled when she saw it, commenting on what a great machine it was. Her smile faded a bit as she pulled the cover off and saw its dusty, neglected state. She asked when was the last time it had been serviced. My face reddened slightly when I murmured, "Right before I bought it, I suppose." And yes, that was also 1983. She stroked the metal beast as if to comfort it and retorted, "Well, no wonder....". As I looked around the quilting store, I realized I was the youngest person in the store...the only one who didn't have gray hair. I wondered how many people actually sew anymore. Or knit? 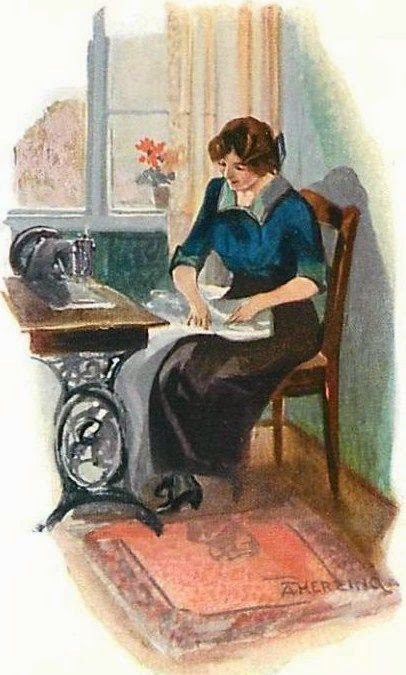 Women are so busy today with jobs and families that perhaps only the wealthy, retired or childless have the time to pursue homespun crafts. 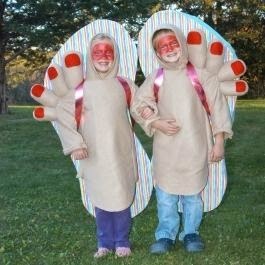 During my own childhood, families in my parents' economic strata didn't spend money on Halloween costumes. We wracked our brains for what we could create out of odds and ends around the house. I remember being a gypsy one year with a long skirt, my mom's shawl, a mask and heavy makeup. Well, it was the chance to apply makeup without restraint that sealed the deal on that one. Another year I was a butterfly, which consisted of a black leotard, black tights, wings cut out of cardboard that I had painted and glittered, and antennae attached to a headband. My own kids had been skeletons - a loose black suit upon which I had sewn white cut-out bones, devils - the same pattern with a red suit and appliqued yellow pitchfork, a red cape and a cap with horns, princesses, Dorothy from the Wizard of Oz, and a colonial maiden (we saved that outfit from a school play). I've always hated the cheap store-bought costumes and, truthfully, my kids didn't like them much either, knowing I could make something much more fun. The grandkids' tastes are mostly the same: both Renaissance and super-hero capes, although the three year old girl wants to be Prince Phillip from Sleeping Beauty. His dragon-fighting role is much more appealing to her than lying on a bed, waiting for true love's kiss. So I wait patiently with my repair ticket in hand, wondering how frustrating it will be to reacquaint myself with my old machine. There will be cursing...a lot...as I stop and read how to turn a particular seam or finish an edge, but there will be joy also. Young eyes will shine with happiness to receive something crafted for them. And I will smile, hiding the band-aids on my fingers. In the 1950's, I would often sit on the front porch of my parents' row house and watch the parade of women exiting the house across the street. The woman who owned it ran a beauty salon out of her basement. Hair that entered that place straight and lank emerged coiffed and curled. Most of the time REALLY curled, and wafting a chemical smell that I swore was detectable even from my concrete perch. My grandmother got her hair permed. My mom too. And one day my mother ushered me into this female sanctum and I too was permed. At first I felt very grown up, not knowing that I looked like a geek. Within days, I stood desperately in front of the window fan, trying to brush out the kink, praying for regrowth so I could get it cut and look normal again. The tide had turned and perms fell out of favor for anyone under 30. Like most fashions, permanent waves swung back into style again in the late 70's and early 80's, but they were different. 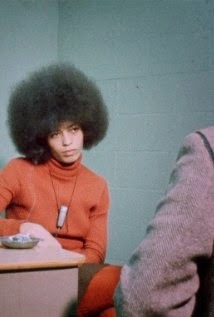 Fatter, looser curls were possible, unlike the iconic Angela Davis 'fro of yore. So, I did it again, with much better results. I flat-out loved it. A more advanced version of my old window fan had been invented - the blow dryer - and with three small children as well as being part of a rabid running group, this was an answer to my prayers. I liked it so much that I had several more over a span of 4 or 5 years, copying the Farrah Fawcett 'wings' during the height of her fame. Today I stand on the precipice. After nearly 30 years of straight hair, I see a much older me staring back in the mirror. Lank, shoulder-length hair only accentuates the havoc that gravity is exerting. I don't want short hair - yet - as I live in fear of old-lady helmet head or any version of my mom's or grandmother's. 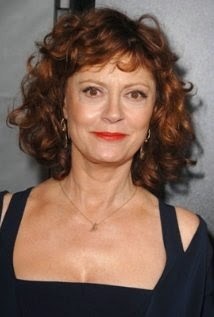 Susan Sarandon waits patiently on my phone's photo stream as I head to a salon, clutching craigslist and ebay earnings to forfeit in exchange for chemicals. Would my scalp burst into flames from the toxic ingredients? Would my hair break off and fall out? Would I look like a freak or an 80's throwback? Would it take my entire monthly retirement check to cope with the afternath? I prayed as I drove to a place that I'd researched meticulously, both through Baltimore Magazine's annual "Best Of" lists and customer reviews. The receptionist had called earlier that morning to reschedule my appointment by a few hours because the original stylist had called in sick. Was that an omen? Was Farrah sending me a warning from the afterlife in the only way she could? Pulling into the parking lot, I felt calmer as I saw the bubbling stream flowing next to the building. I reassured myself that I had done everything possible to prepare for this...except charge my phone, which threatened to make Ms. Sarandon disappear before I could display her images to the stylist. As I eased myself into the chair, Kim (the stylist) introduced herself. She was attractive, in her late forties and I was thankful that I hadn't gotten a young girl who might later regale her friends with the story of this strange woman who actually asked for a perm. I babbled nervously, flashing pictures and waving my hands around, trying to explain and expecting her to tell me she was a beautician, not a magician. She smiled, asked a few questions for clarification and went to work. We chatted easily as she worked, which is unusual for me. I'm not good at small talk with strangers. Every single employee and customer in the place had straight hair....not a curl in sight. I warned Kim that it had been years since I'd left a salon and not gone home to put my head under a faucet. She thanked me for the warning and laughed, assuring me that it would take time to get to know my new hair, to play with it until I was satisfied. And no washing, styling, or pulling into a ponytail for 48 hours so the curl could set..
At last, after two and a half hours, I was done. Gazing cautiously into the mirror, I smiled. No, it wasn't twenty-year-old me staring back. It was a softer, better-looking me with a classier look that wouldn't fall flat an hour later. But don't ask me for pictures...my 48 hours aren't up yet! A recent issue of Time magazine carried an article by one of my favorite columnists, Joel Stein, in which he recounted the difficulties his young son, Lazlo, has had with the Disney juggernaut, Frozen. The little boy refuses to watch the movie, muttering his dislike for anything to do with dresses and princesses, and everywhere the poor kid turns, he must endure the aural assault of small females belting out "Let It Go". I am intimately familiar with both the movie and the main characters, Princesses Elsa and Anna, since I have multiple family members under the age of ten. The three-year-old in particular is in the throes of a princess fever which has continued unabated since I gave her a Cinderella dress from the Disney store as well as several dolls and a much-coveted Princess Anna dress. She wants to wear the Cinderella dress every day, everywhere. Her achievement-oriented mom probably hates me for temporarily leading her astray. The child is smart. She remembers things that were mentioned months ago and whips them out when you least expect it. One of us commented on group of cacti while on a hike last fall. Then, at least six months later, while seeing a photo of an assortment of the small plants, she interjected, "Look mommy, those succulents look just like flowers." I'm not worried, as I often watch her construct complex skyscrapers out of MagnaTiles while decked out in princess regalia, complete with tiara. Decades ago, while I was still a kid, Disney first struck merchandising gold with Fess Parker's Davey Crockett character. 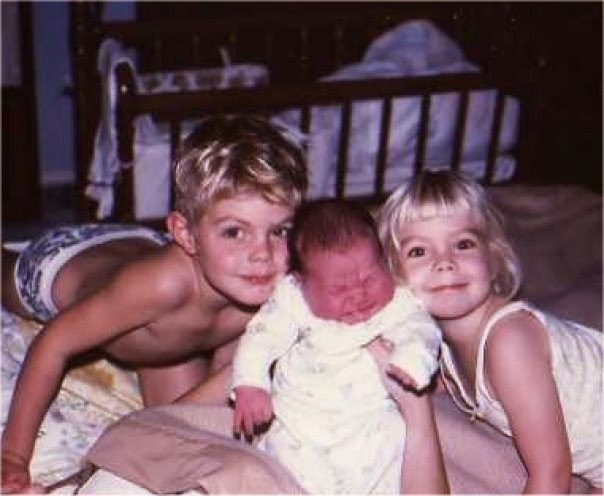 Every little boy I knew had to have his trademark coonskin cap. Princess culture was in its infancy. I don't remember seeing Cinderella, Aurora and Snow White blanketing toy store displays. In fact, I thought the coolest thing about the Sleeping Beauty film was sitting in the first row of the Hippodrome theater and marveling as Maleficent grew into a giant, fire-breathing dragon. Now, before a film is even released, Disney and other toy makers have to calculate how much inventory to stock, or risk being stuck with unwanted merchandise. 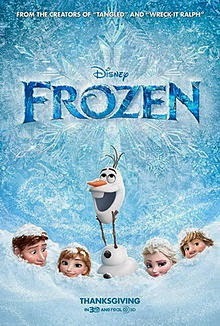 With Frozen, they were caught off guard by how wildly successful it has been. Even now, six months after its theater run, parents are still unable to obtain the coveted Elsa and Anna dresses and dolls unless they want to part with two or three times the retail price via Ebay or Amazon. And no...I did not pay that. I stumbled onto the Disney online store one sleepless night about 4 a.m. when they were in stock for $44. I feel for Stein's son, as I'm going through a similar irritation because I won't join the Celtic Thunder and Celtic Woman fan base. After viewing bits and pieces of the show on public television, I felt manipulated by its slick presentation. Men swaggered onstage, demanding that I think them desirable. Women sang sweetly (princess-like?) to avoid alienating the audience of almost exclusively mature women. Don't get me wrong: I love Irish music. What I hate is being expected to join a love-struck crowd of older women, simply because a show has been engineered in a way that certainly expects me to do so. So, Lazlo, I feel your pain. And I hope my daughter doesn't disown me when the Rapunzel dress arrives on her doorstep next week. "Firsts" are quixotic. They can be thrilling events such as first steps, first dates, and first kisses. Sometimes they are less so: the first holiday season away from home or the first holiday season at home without your children. The most difficult firsts are those that have no hope of change. They will be followed by a second, a third and so on. 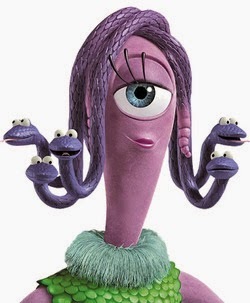 Mother's Day is one of those. Irene Catherine Barker died last fall at the ripe old age of 95. It was a relief of sorts, as she had been in a nursing home for several years, enduring what none of us want to endure. When I say that I miss her, I mean that I miss the mom she was during her vital, sentient years before she lost the ability to walk, to hear my voice or to even recognize me. I thought about this commemorative day all week, planning to visit her grave site and place flowers in her memory, but the day is nearly over and I've yet to go. Her passing is still too new, too raw to go to the cemetery with the crowds who trek there today in ritual homage. Yesterday I caught myself several times, wondering what I could get for her, to make her smile and feel special before realizing that won't happen again....ever. Tomorrow I will go, when the crowds are gone and I can be alone with her. Now the visits are for me. She won't know I'm there. 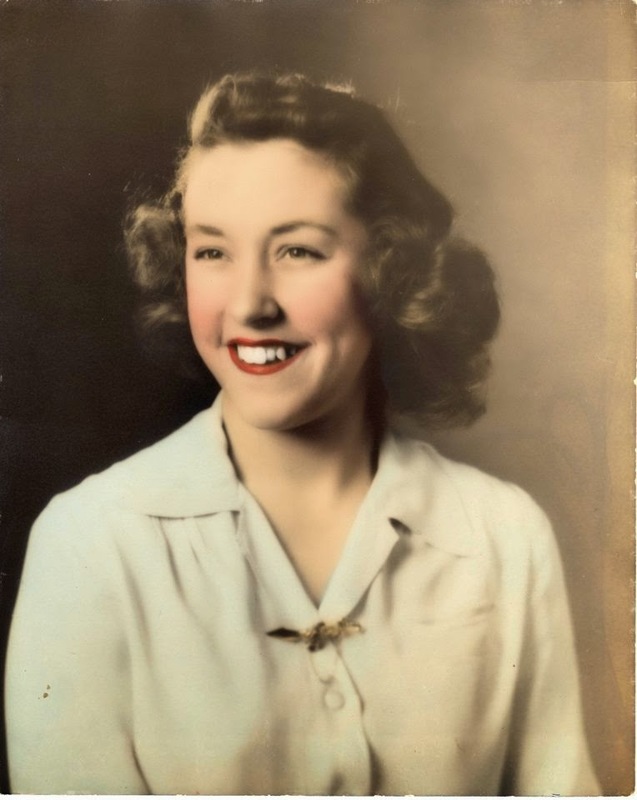 All I can hope for is that the love and care she gave me during her lifetime continues to shine through her grandchildren and great-grandchildren. As a special, one-day promotion, you can get a FREE copy of EDNOR SCARDENS and THE BODY WAR, books 1 and 2 of the Charm City Chronicles.